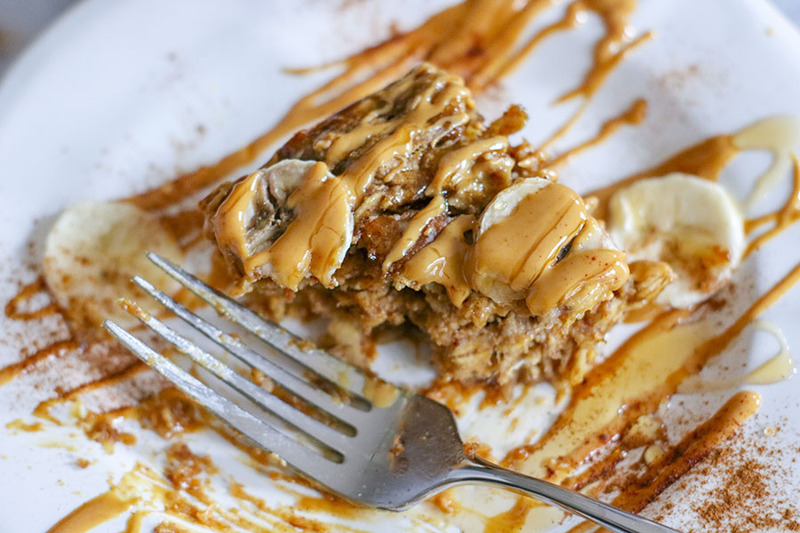 GUYS – THIS PEANUT BUTTER BANANA BAKED OATMEAL IS INCREDIBLE. Seriously, I know I have said that before – but for REALZ. This stuff is quality. I am all about convenient, nutritious and delicious food. Especially when it comes to breakfast! I love eggs – and yes, if I had the time to make myself a nice omelet every morning for breakfast, that’d be incredible! But there is just no time for that – life gets in the way! Don’t be mistaken though, you don’t need to deprive yourself of a delicious and nutritious breakfast just because you are running around like a crazy person! 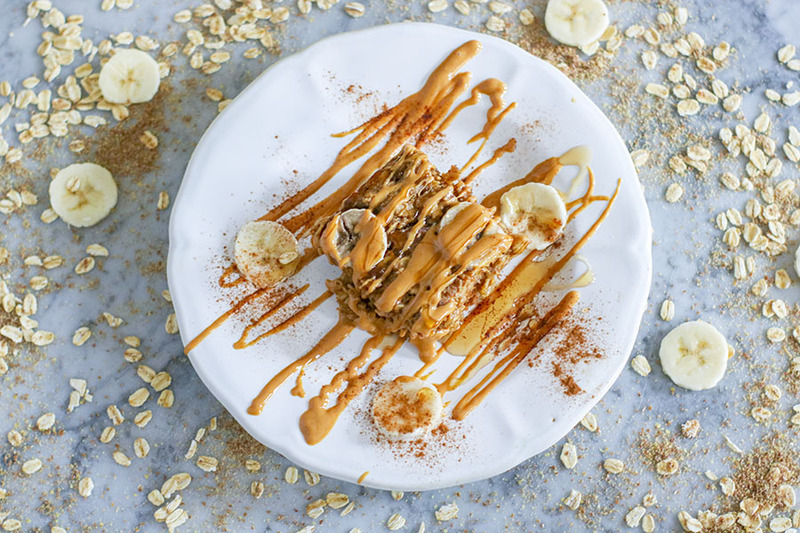 If you have EVER found yourself scrambling to find breakfast – for you, your kids, your spouse, whoever – THIS Peanut Butter Banana Baked Oatmeal is for you. What are my favorite two things to eat peanut butter with? Number One: Chocolate – duh. Chocolate + peanut butter = pure delight. If you also love peanut butter and chocolate you MUST check out my new recipe for Chocolate Peanut Butter Protein Bars. You are going to love love love them! 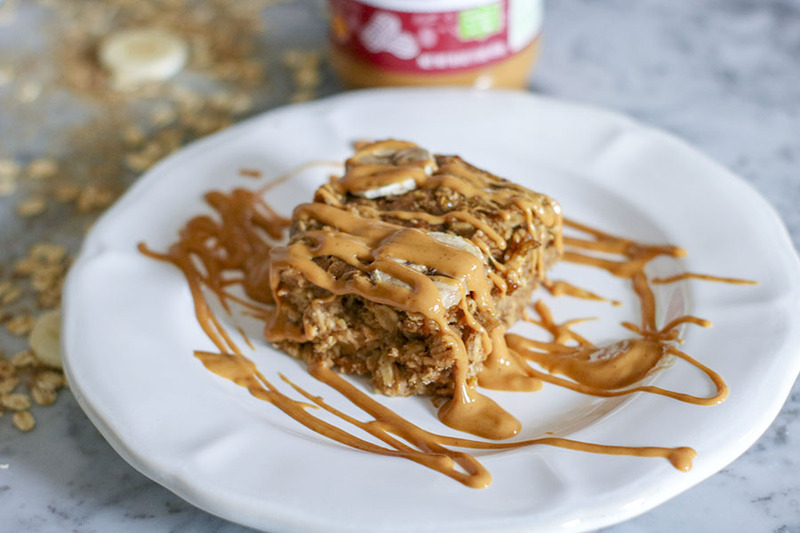 They are packed with peanut butter, crispy puffed rice cereal, and protein powder to keep you full throughout the day! Number Two: Bananas – double duh. Bananas were MADE for peanut butter. Don’t you agree? I honestly feel a little sad whenever I eat a banana without peanut butter, just because I know how much more delicious it would be with peanut butter. I love oatmeal. But… CAVEAT… I love sugar-filled oatmeal – I am talking Maple Brown Sugar Quaker Oatmeal that has a bajillion grams of sugar and little nutritional value. YUM! 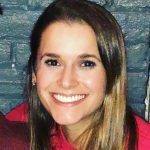 I have been trying to train my taste buds to enjoy less sugar – which is HARD! Great way to do that though? In fact, this is why I had a hard time switching over to natural peanut butter, because it is not as sweet as the processed stuff! When I make homemade oatmeal, I LOVE to add peanut butter. Peanut butter adds loads of protein and a little fat to keep you full longer throughout the day. And it is delicious – so sometimes I am willing to let go of that fact that my oatmeal isn’t so sweet. Another great add to homemade oatmeal? BANANA! Sure there is sugar in banana – duh. But at least it is natural sugar and not straight up brown sugar that I am scooping on by the spoonful, ya feel? 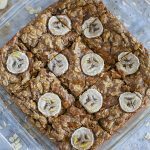 This Peanut Butter Banana Baked Oatmeal is so easy to make – I love to make it on Sunday, slice into squares, maybe even separate into a few containers for grab n’ go efficiency. Boom – done. Healthy, satisfying, breakfast is ready for the week. Even your kids will love it! 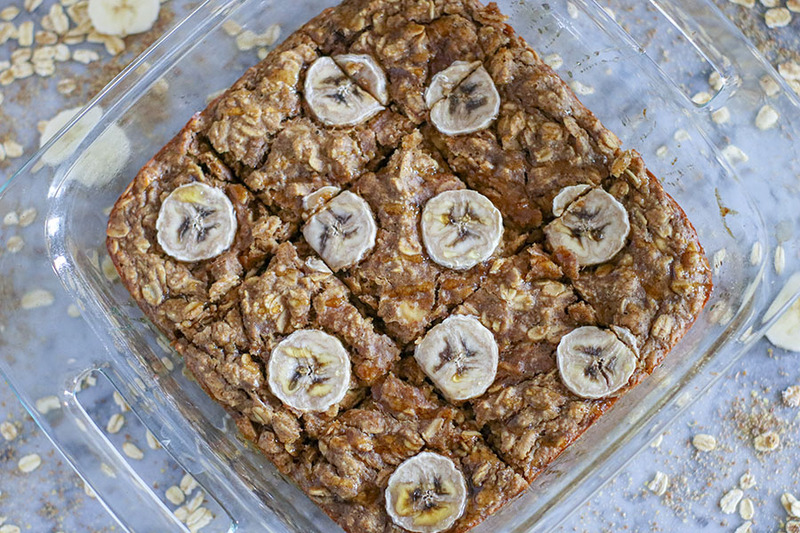 You can eat this baked oatmeal plain, at room temperature as a bar. Or you can heat up in the microwave for a little extra warmth! If I have an extra moment, I love to top mine with a little extra peanut butter, maple syrup and fruit. OMG – it is good. Creamy, rich oatmeal – packed with protein and sweet cinnamon-goodness. 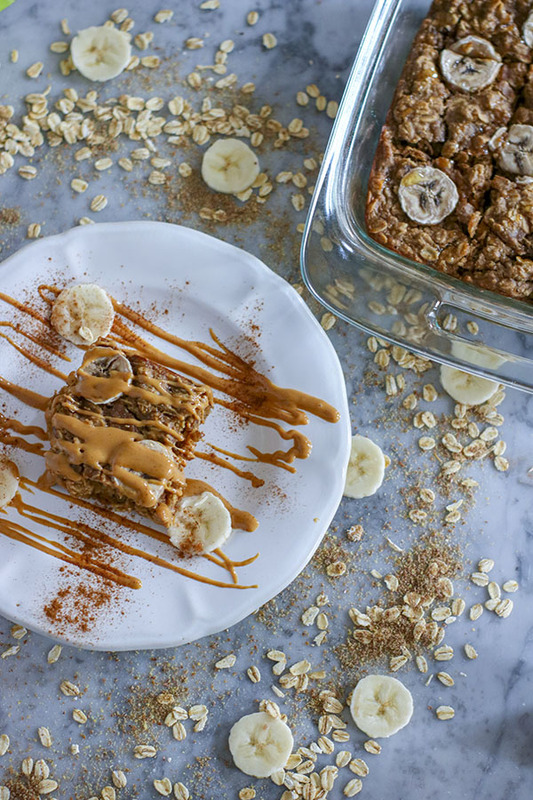 Banana, oats, flax, peanut butter – these bars are FULL of good things; nutrients, fiber, protein, the list goes on. 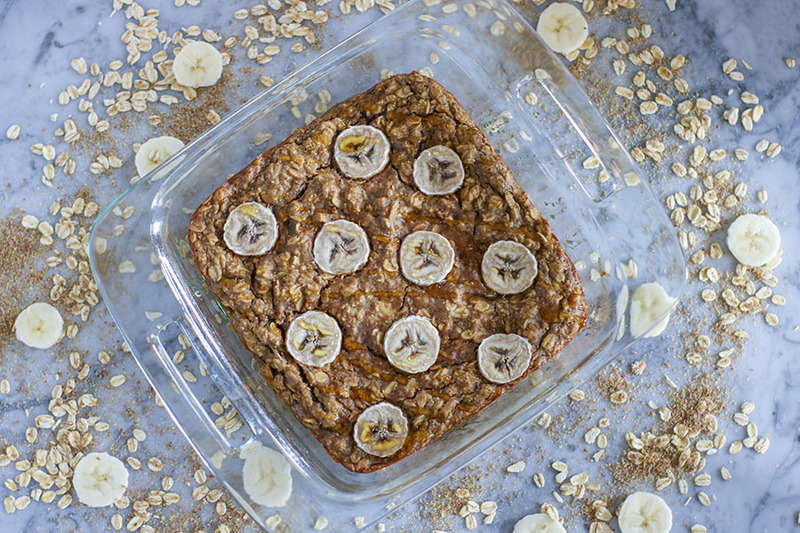 This EASY Peanut Butter Banana Baked Oatmeal is the PERFECT breakfast for anyone on-the-go! 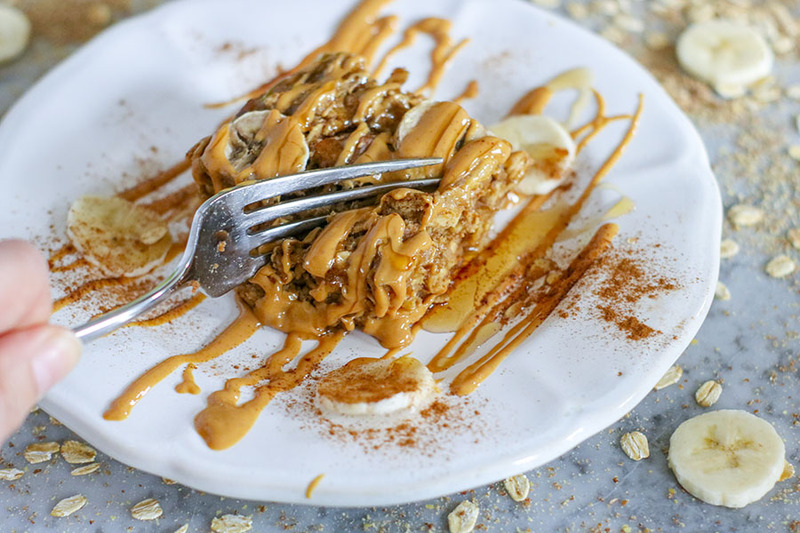 Creamy, rich baked oats, loaded with nutritious banana, protein packed peanut butter, fibrous flax and sweet cinnamon-goodness - these bars are full of ALL the good stuff. The best part? Your whole family will love them! Preheat oven to 350 F. Spray an 8 x 8 inch baking dish with cooking spray, set aside. In a blender or food processor (I used my magic bullet), pulse 1/2 cup of oats until smooth (texture of course flour). Set aside. In a large-bowl, combine remaining whole oats, ground oats, flax, cinnamon, and baking soda - stir to combine. 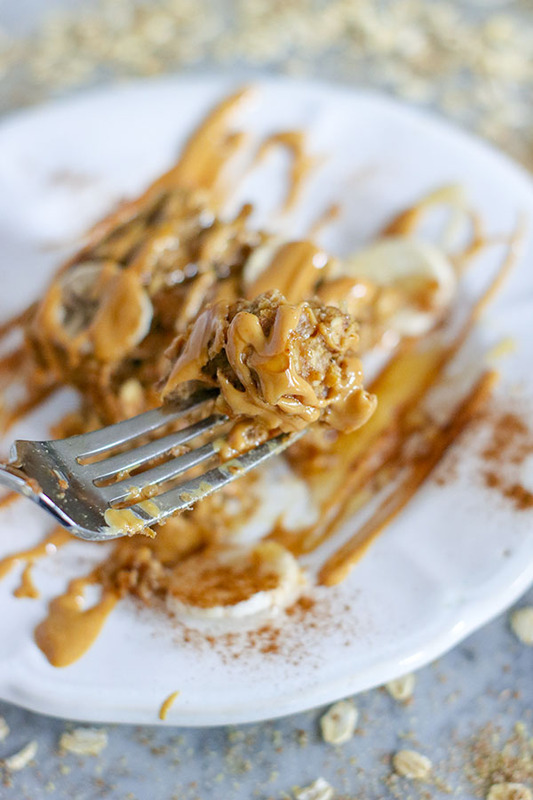 In a small bowl, combine peanut butter, mashed banana, maple syrup, non-dairy milk, and vanilla. Stir to combine. Pour wet ingredients into dry and use a spoon or spatula to combine all ingredients. Pour oatmeal mixture into greased 8 x 8 inch pan, spread out into an even layer. Top with thinly sliced banana. 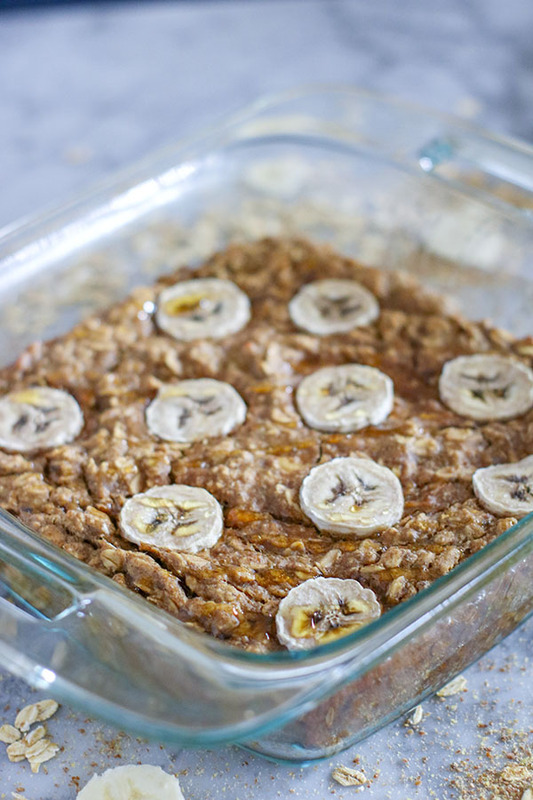 Bake at 350F for 20-25 minutes or until oats and banana begin to brown. Remove from oven and allow to cool completely before slicing. Once cool, slice into 9 equal-sized pieces. 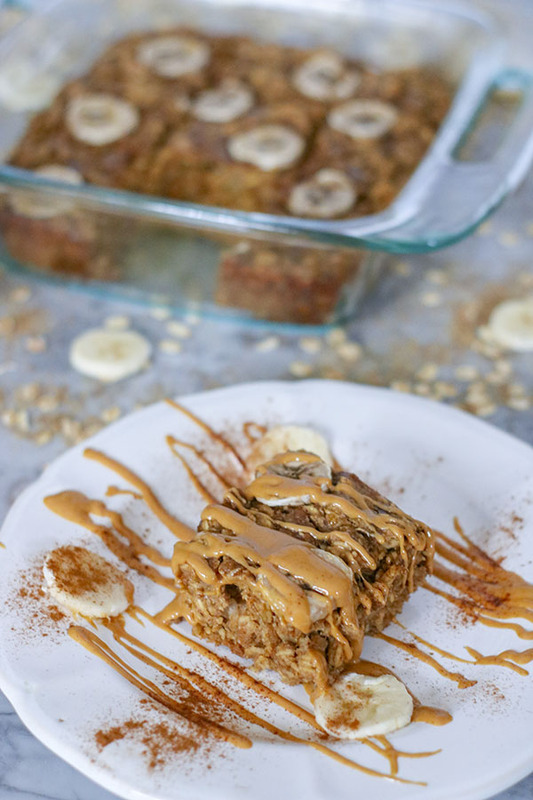 Top with maple syrup, nuts, nut butter, fruit, or anything else your heart desires! Enjoy at room temperature as a snack or heat in microwave for a warm breakfast treat! For a more traditional oatmeal texture, heat with a large splash of non-dairy milk (milk will soak into oatmeal and soften). Storage: Refrigerate in an airtight container or freeze slices in parchment paper (reheat before eating).